Your wedding day is sure to be the most exciting and happiest day of your life and you should feel your absolute best. I love natural wedding photography and I have photographed hundreds of weddings. At each and every one the bride has a certain ‘glowy radiance’ about her that I can only put down to wedding day magic. But there are a few little things you can do to make sure you really do look fabulous on your big day. Set the scene on your wedding morning. 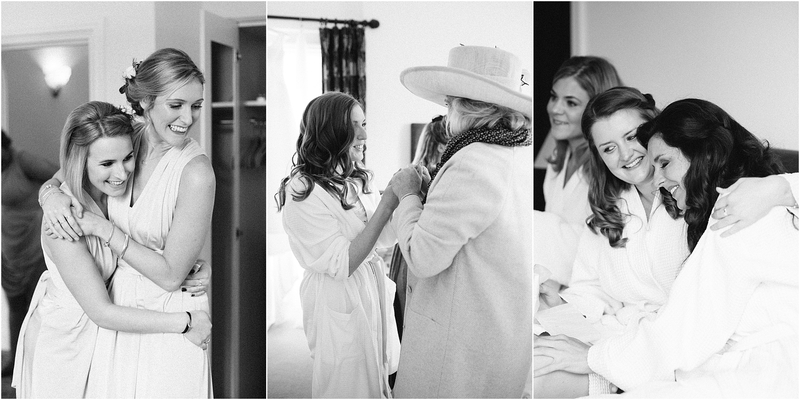 Light a scented candle, wear a lovely robe (which also helps to create flattering getting ready photos! ), and surround yourself with all your best women who make you feel wonderful. The hours running up to your ceremony are sure to be charged with butterflies but having the right relaxing environment and support network around you can really help you soak up all the emotions of your wedding morning and enjoy this very special time. When I arrive on a wedding morning, the first thing I usually do is start photographing your wedding dress, shoes, flowers etc. So that I don’t have to disturb you, it’s always handy if all of the items you would like photographed are in one place so I can focus on this and then get on with capturing the morning. The less questions you are asked, the more relaxed you will feel. Have a bottle of fizz on ice. 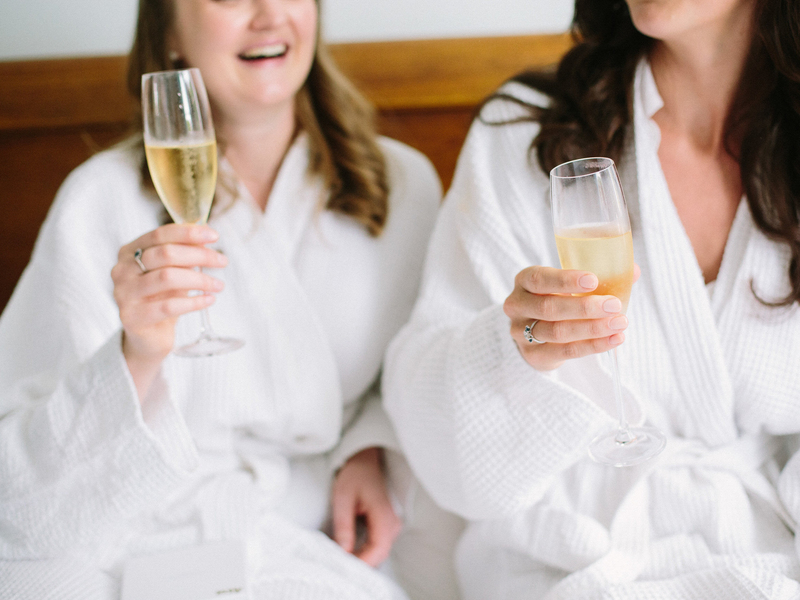 What better excuse to crack open your finest bottle of champagne than your wedding morning? A little drink helps calm those nerves and also makes the morning feel like the beginning of the celebration. And let’s not forget your bridesmaids and mother of the bride who might also be feeling a little jittery! Music is proven to help us relax, so why not ask your bridesmaids to put together a wedding morning playlist full of upbeat, energising songs to get you in the mood for the wedding. I often see brides busting dance moves in their dressing gown when a special track from the hen do comes on! Get those endorphins flowing with some happy tunes! Don’t forget to take off your bra or replace it with a strapless one to avoid those unsightly pressure marks left by the straps! 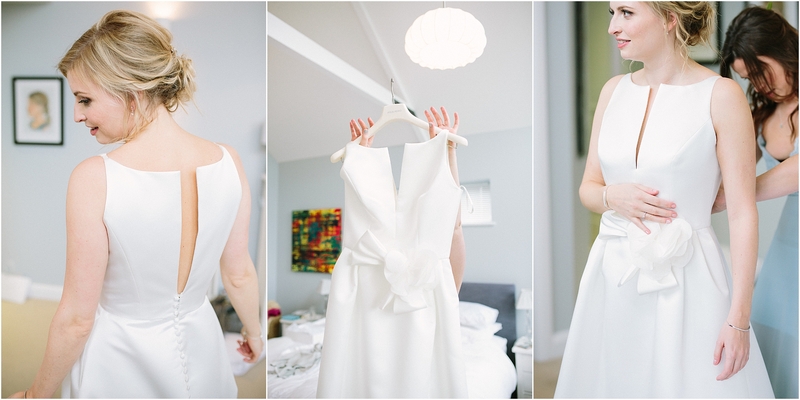 They take ages to fade and can ruin the neckline of your beautiful dress. Professional hair and make up. In my opinion, professional hair and make up are what complete your bridal look. You cannot put a price on hair and make up that stays put for your entire wedding day. You will be getting hugged and kissed constantly, the last thing you want is to be worrying about your make up wearing off or your hair coming loose. These magical hair and make up artists have the experience and knowhow to help you look natural and enhance your beauty. You might be worried that your make up will look ‘over done’ but if your make up artist knows what they are doing they will be able to create a dewy glow that will stay put until the end of the night. You will be amazed at how quickly your wedding morning will fly by. Before you know it, it’s time to put on your dress which can be an exciting but also stressful time. Please make sure you allocate a good half an hour to get you into your gown, especially if it is fiddly to do up and has lots of buttons. You want to feel serene and composed at this point in the day, not stressed out and rushed. It’s perfectly acceptable to allocate roles to your bridesmaids to ensure that your morning runs smoothly. Jobs such as tidying the room, taking the bouquets out of water and drying them, giving out gifts, organising your family, can all be delegated to your bridesmaids. Its so important that you’re able to relax and prepare yourself for those vows so whatever helps you feel less pressure is sure to be a good thing! I hope you have found these tips useful and are able to put some of them into practice to help make your wedding morning as enjoyable and special as it should be. I have compiled this list over 7 years of photographing weddings and have really noticed that when brides feel relaxed I can create natural wedding photography, it’s win, win! To see more tips on how to look and feel natural on camera take a look at my last post.